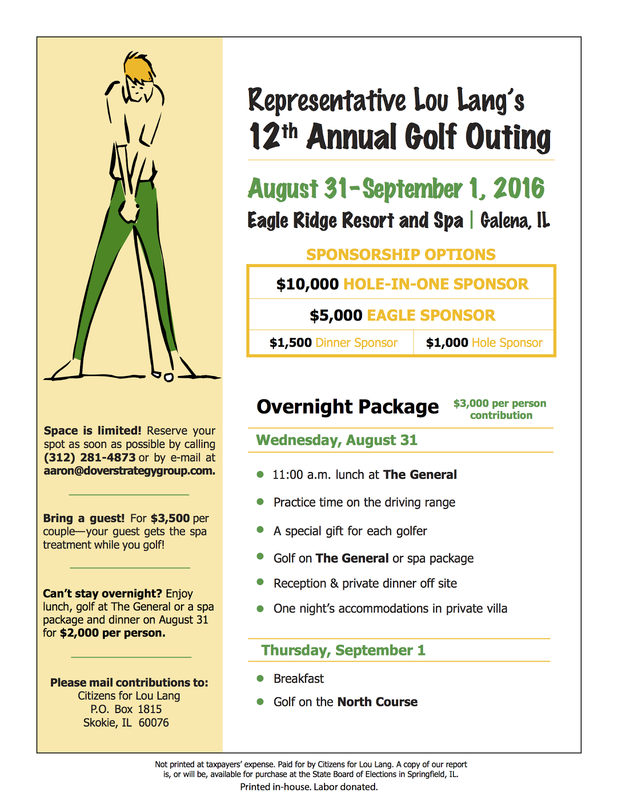 Illinois State Representative Lou Lang (D) is having a fundraiser August 31-September 1 at Eagle Ridge Resort and Spa in Galena, Illinois. 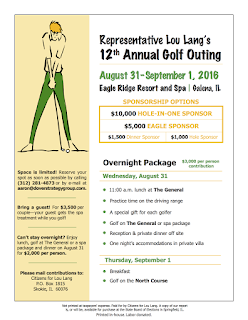 Rep. Lang doesn't represent the Rockford area specifically, but he is Deputy Majority Leader in the Illinois House of Representatives and works tirelessly for Illinois families, education and living wage jobs. He has also been an ally of local Democratic state representatives and senators for many years. Please consider supporting his campaign efforts. A picture of his fundraiser flyer is below.